A small experiment in Do-It-Yourself Learning has just wrapped-up. The idea was to see if customer service professionals could learn new skills on their own. The results were very mixed. None of the participants achieved their learning goals. However, many did make valuable progress. And, broader lessons were revealed about learning new skills. Here's a rundown of what happened, what we learned, and how you can apply these lessons to learning customer service skills on your own. I launched the experiment a month ago on the Inside Customer Service LinkedIn group. A few people said they were interested. Then, the inevitable dropouts came. People were busy. We ended up with four participants plus me. That's obviously not enough people to draw any scientific conclusions. However, there are still plenty of insights to be gained. The first major question is why did people think they were too busy. Shouldn't we always be learning something new? One possibility is that we can't shake the idea that learning new skills has to be a big formal thing. The reality is we're learning new skills every day as we try to solve the various challenges thrown our way. Each participant was asked to set a specific learning goal. Most of the goals were focused around building customer service skills. I set a goal to so I could participate, but I chose to focus on photography because it would be easy to provide visual updates. My goal was to take a landscape picture that my wife would agree to hang on a wall. It's a picture of a small mountain called Kwaay Paay in San Diego's Mission Trails Regional Park. The shot is taken from the park's visitor center loop trail. The top of this mountain is one of my favorite places in San Diego. The stairs in the foreground represent unlimited possibilities. The other participants made progress even though they didn't achieve their goals. So, what got in the way? Malcolm Knowles developed a framework for adult learning more than 30 years ago. It helps to look at the challenges participants encountered through this framework. Need to Know. People must have a clear reason for learning. This factor held back many participants and potential participants. Most of their learning goals fell into the nice-to-have versus need-to-have category. Foundation. Learning should build on things we already know. There probably weren't any problems here. Self-concept. People should make decisions around their own learning. This was the lure of a DIY learning project. It may also be a challenge since nobody was being held accountable. Readiness. Participants have to be ready to learn. This was a major challenge in the experiment. People like the idea of learning something new, but there wasn't an urgent reason to invest a lot of time in doing it. Several participants told me that other priorities got in the way. Orientation. Learning should be focused on solving a specific problem. This was a challenge for some participants and it kept a few people from participating. Each person was asked to define a clear and specific learning goal. Motivation. Participants must be internally motivated to learn. Here, competing priorities hurt participant motivation. They had other, more pressing projects to work on. There was a common thread that ran through all of the participants. The people who expressed interest, but ultimately didn't participate, had this in common too. None of them identified an urgent learning need. That's the biggest lesson learned. Many of us like the idea of learning something new but we don't follow through on it. We're just too busy. Other priorities get in the way. Urgency is the key. Learning a new customer service skill shouldn't be abstract. It should help solve a real problem. Start with the need and the rest will follow. The other lesson learned is that most people perceive learning as a big, formal event. It doesn't have to be this way. In fact, most of us are learning something new every day. Knowing how to learn can simply make this process easier. Am I discouraged? Yeah, a little, I really wanted the participants to build new customer service skills that could help them achieve great things. But, I think I can learn from this. My BS meter was pinging loudly. A participant in my customer service training class had just informed me that he was awesome at customer service. He told me he was only attending the open enrollment workshop because his boss had sent him. "I've never had a complaint," he insisted. The very first exercise proved him wrong. It was a rapport-building challenge. Participants were asked to meet three people and learn three things about each person in three minutes. It seems simple, but it's really hard. Typically, only 10 percent of participants can do it on the first try. Mr. Awesome wasn't one of them. His problem wasn't a lack capability. His challenge was that he'd convinced himself customer service was easy. The participant's overconfidence prevented him from practicing his craft. This post is part four in a series about Do-It-Yourself customer service training. We've been exploring techniques for learning new skills without formal training. Today, we'll focus on the lost art of practicing. You might want to catch-up on the project so far before reading ahead. The first post provided an overview of self-directed learning. The second post focused on using goals to get focused. The third post described how you can engage experts to help you grow. 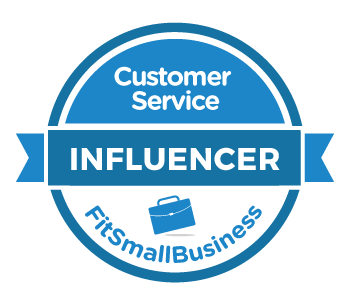 You can also check out the Inside Customer Service group on LinkedIn. A few people are using the group to document their DIY customer service training journey. Picture him or her performing at peak level. It could be in a team sport like baseball or football. Perhaps your favorite athlete plays an individual sport like golf or tennis. Whatever the case, picture this athlete at their best. You know they don't just show up on game day and perform. There's countless hours of training, preparation, and practice that goes into their performance. There's no reason we should be any different. If we want to get better at the customer service game, we need to practice. Practice does two essential things. First, it gives us feedback. The participant in my customer service training class got immediate feedback that his rapport-building skills weren't as awesome as he'd thought. Second, practice helps etch skills into our memories. Without practice, it takes just one week to forget half of what we learn in training. Practice won't make you better if you do it the wrong way. There's a kid in my neighborhood who plays the drums. He's terrible. He can't keep a simple beat despite having years of experience. It's easy to understand why when you hear him practice. He never works on the basics. His sole aim appears to be nailing some sort of crazy Neil Peart drum solo. So, what's a better way? I've been working on my photography skills for the DIY Learning Project. My goal is to take a landscape picture that my wife will agree to hang on a wall in our home. Here's how I used Kolb's model to work on my ability to using lighting to my advantage. The color in this picture is washed out. That's because the picture was taken into the sun. A thin layer of clouds diffused the light even more. Deciding what to improve is the next step. I found a training video on lynda.com called Up and Running With Lighting: Natural Light by Erin Manning. The course gave me some great tips to try out. Experimentation is the third step. I took my camera to the Presidio in San Diego to try out some of the lighting techniques I'd just learned. This also allowed me to learn how to make adjustments on my camera. I used skills I learned from the training video to make adjustments that would improve the use of lighting for this scene. All this practice leads to more experience and Kolb's cycle begins anew. First, we reflected on reasons why most participants (including Mr. Awesome) weren't able to successfully complete the rapport-building challenge. Next, we decided what we'd do differently the next time. People quickly came up with some great ideas. Finally, we ran the exercise again so participants could experiment with their ideas. This time around, Mr. Awesome nailed it. He really did a great job. This brings us to the last piece of the practice puzzle: you must recognize the progress you are making. It's unreasonable to expect perfection right away. Many people give up on learning a new skill if they don't nail it on the first try. Don't be that person! Step back and take pride in progress. Here's an example from my photography project. I wanted to capture a beautiful beach I had seen in Hawaii. Using pictures makes it easy to see the progress I'm making. You might not have that luxury with the skills you're learning. But, you can still evaluate your progress by using Kolb's experiential learning cycle. Reflect on your experience, decide what (if anything) you'd like to do differently, and then experiment with new techniques. Practice is an essential part of learning new skills. The payoff is discovering that you can do something you couldn't do before. This post is part three in a series about Do-It-Yourself customer service training. You can learn new skills on your own. You don't need to wait for a class or for your boss to pull you aside and teach you. This post focuses on finding experts to help you achieve your goals. You might first want to catch up on the project so far. The first post provided a general overview of self-directed training and how it has the potential to transform the way we learn. The second post focused on setting clear goals -- an essential step towards learning new skills. Experts have the amazing ability to speed up your learning process. Let's use my DIY learning project as an example. I want to learn more about photography. In particular, I want to take landscape photographs of places I visit so I can hang them up in my home. My first challenge was upgrading my camera from a pocket-sized point-and-shoot model to something a little more powerful. How should I pick out a new camera? Wade through endless reviews on photography websites? Take a photography class to learn the ins and outs of various models? Visit an electronics store and hope for the best? All of those options would take a lot of time. And, they still might not help me make a great decision. So, I decided to ask Tony Cruz for advice instead. Tony is definitely a photography expert. He's directed a few of my courses on lynda.com, including Customer Service Fundamentals, Working With Upset Customers, and Using Customer Surveys to Improve Service. Tony asked me a few questions before making some recommendations. He suggested I look at mirrorless cameras since they combined the features of high-end DSLR cameras with the compactness of point-and-shoot models. I checked out his suggestions online and quickly decided to get the Olympus OM-D E-M10. It combines idiot-proof performance with an amazing array of high-end features. Going to Tony first saved me a ton of time. It also gave me the confidence that I was making a great decision. This approach works for almost any type of DIY training. Who do you know that could help you improve your customer service survey? Do you know someone who can help you develop a customer-focused culture? Can one of your colleagues help you improve your skills with upset customers? (Hint: feel free to drop me a line if you'd like expertise in any of these areas.) Experts can help you find solid answers to your questions in a lot less time. Experts typically have a lot of passion about their field of expertise. They are also typically short on time. So, you have to be efficient when you ask an expert for help. The wrong way to do it is to bring up a vague topic. If I had approached Tony and said, "I want to know more about photography," he'd likely have struggled to give me the specific advice I needed. The right way to approach an expert is to ask for advice on something simple and specific. This is when it helps to have a clear learning goal for your DIY training project. I asked Tony to recommend a camera that would be an upgrade from my point-and-shoot model. I told him my purpose (shooting landscape photography) and skill level (not much). This meant I needed a camera that was easy to use but also had more advanced features that I could learn. Tony was able to answer my question immediately with some great advice. So, before you approach an expert, make sure you have a clear learning goal. Tony helped me pick out a great camera, but he also helped me use it. One of his first suggestions was to take it somewhere interesting and just take pictures. He told me to play around with the various settings and notice the differences when I did. Here are a few examples I took from the beach in Santa Barbara while I was there filming one of my courses for lynda.com. The late afternoon sunlight had this amazing effect coming through the trees. This picture doesn't do it justice. I'm still learning. It's incredible how the same scene can look so different just by altering a few camera settings. My next challenge is to understand what adjustments product what effect. Here, I was just selecting random options. This was the best photo I took. The dog hit me in the head with that huge branch as he walked by me on the sea wall. The camera was in full automatic mode and the shot was pure reaction. Sometimes, lucky is best. I showed Tony these pictures the next day and he gave me some great advice. He pointed out how a large contrast between light and dark made it difficult for the first two pictures to come out. Tony also explained how the light worked in my favor on the last picture. Sunlight was diffused by the trees in the background and there weren't dark shadows to contend with. If you're going to ask for it, you'd better take it. Following-up on Tony's suggestions opened the door to ask more questions. It wouldn't be very fair to Tony if I asked him for insight and then did nothing with it. So, go ahead an ask an expert for advice. Just make sure you follow-up to let them know how things go. There are many ways to find an expert. If you're lucky, you already know one. I was already working with Tony and knew about his passion for photography. I'd also seen his work and knew he could take the types of photos I aspired to take. Once you find your expert, don't be afraid to ask a question. You may just be surprised at how much they love to share. 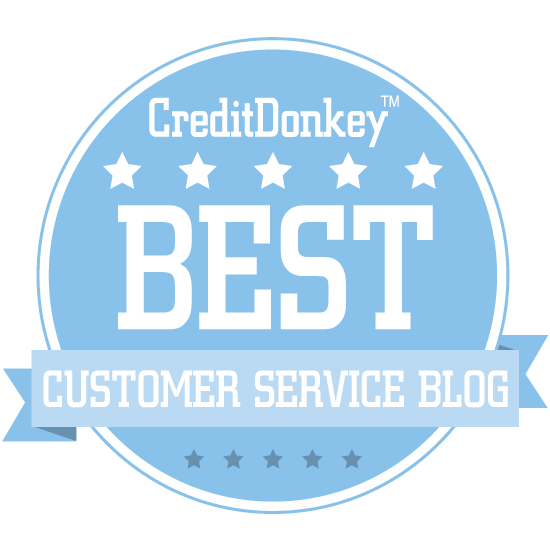 This post is part two in an ongoing series on Do-It-Yourself Customer Service Training. Today, we’re going to focus on setting clear goals. You might want to start by getting caught up on the first post in the series where we explore what DIY or self-directed learning is all about. You can also follow along in real time on the Inside Customer Service group on LinkedIn. The first step in a DIY learning project is setting a goal to learn a useful skill. This post will look at how to set a good learning goal and provide some examples. Most people falter here. Their goals are too squishy and ambiguous. Learning goals have got to be clear and very specific. A great way to start is to choose a specific focus area. I chose to focus on photography for this project. It’s not a customer service topic, but it does make it very easy to provide visual updates. I’d like to learn more about photography. A goal like this isn’t really a goal. It’s just a theme. It’s also a recipe for procrastination - something to put on your “someday, I will…” list. Why do I want to learn about this topic? How will learning these skills help me? What’s an example of something useful I could do with this skill? Why do I want to learn about this topic? I spend a lot of time outdoors and want to capture some of the beautiful scenery. How will learning these skills help me? My wife and I want to use pictures of places we’ve been as art in our home. What’s an example of something useful I could do with this skill? I could start by taking one photograph my wife agrees to hang on a wall. My friend Jenny provided a great success story on our LinkedIn group. She started with a very squishy desire to "learn tips and tricks to allow myself to do better with time management at work!" We talked a little about why time management was an issue and how new skills could help her. Afterwards, Jenny made some revisions. She ended up focusing on playing guitar and singing at one open mic gig in San Diego. Wait! That isn't customer service. What gives? I actually think Jenny's focus area is really smart. She moved to San Diego several months ago. Work has been crazy and she hasn't played any gigs since moving here. Her real struggle with time management is prioritizing work, setting clear boundaries, and making time for things outside of work that she's really passionate about. Carving out time to play guitar and sing at an open mic gig will help Jenny develop time management skills. Those skills will be very useful in her day job as a customer service manager. Words of Caution: Many customer service initiatives falter here. They never get specific enough to take action. To be clear, this step is difficult. Impatience often gets the better of the people. They decide to skip this part and keep moving, not realizing this part is essential. You won’t have clarity until you have direction. Now that you’ve clarified where you’re going, the next step is to set a specific goal. A good goal should fit the SMART model. By August 7, I will take a landscape photograph that my wife agrees to display on a wall in our home as art work. Specific: Take a photograph my wife agrees to display on a wall. Measurable: If my wife agrees, I’ve achieved it. Attainable: I like my chances here, but I also know I have to earn it. Relevant: It’s definitely related to photography. Time-bound: August 7 is my deadline. By August 7th, I will play guitar and sing at an open mic in San Diego. Specific: Play guitar and sing at an open mic in San Diego. Measurable: If Jenny plays the gig, she achieves the goal. Attainable: Yes. Jenny already plays and sings quite well. She just needs the gig. Relevant: It’s definitely related to time management and prioritization. Time-bound: August 7 is her deadline. Words of Caution: A SMART learning goal is an example, not a destination. Learning to take that one picture will give me skills I can use to take many other pictures. Playing an open mic gig will give Jenny skills she can use to prioritize projects and work. Setting a clear goal makes it easy to focus my energy on accomplishing something tangible. And, once I do, I’ll have learned some skills that are transferrable to other situations. A clear goal can also help you pinpoint what you need to learn. The key is to compare your current performance to your desired performance. The place is gorgeous. Unfortunately, my camera skills weren’t good enough to capture an image that I’d want to blow up and hang on my wall. I like the view, but the sunset part is severely missing. This wasn't a great choice in terms of composition. The sun was bright, but the scene is missing the pastel hues and sharp contrasts that make a great sunset picture. There's a little something in the right hand corner (the tail of a surfboard?) but it's not clear enough to be interesting so it's just in the way. The key is figuring out what I don’t like about these pictures so I know what I need to learn. For me, three things stand out. Lighting. None of these photos really pop. For example, in the first picture, there are too many shadows on the beach. A better understanding of lighting would help. Composition. All three scenes looked amazing in person but that didn't translate to a great photo. My challenge is to find scenes that will look great in pictures. Some variables might be timing, location, and technique. Equipment. These pictures were taken on a point-and-shoot camera. It’s great for snapping a few vacation photos, but not the best tool for taking a picture for my wall. I might need to upgrade. Jenny's gap was much easier to sort out. She hasn't played any open mic gigs since moving to San Diego. Playing just one puts her in the right direction. I’ll post updates on this blog over the next few weeks. I’ve already discovered one cool technique for DIY Learning. If you are trying to learn something, put it out there. Let your friends and colleagues know what you’re up to. Share your goal so they know exactly that you’re trying to accomplish. When I shared my photography goal, my friend Jess sent me some resources. One was Ted Forbes’s Art of Photography YouTube channel. The first video I saw was a short tutorial on exposure. Perfect! Let’s say you have to learn a new skill. It could be something to do with customer service. Something that would elevate your service game. What would you do? OK, I mean after you procrastinate a bit. What then? Sign up for a class? All of these seem like natural solutions. None of them are very efficient. That’s why I launched a Do-It-Yourself Learning Experiment on the Inside Customer Service LinkedIn group. The goal is to identify best practices for self-directed learning. Over the next few weeks, I’ll be posting updates on our progress. We’ll look at the challenges, techniques, and successes. The idea is simple. Most of the skills we acquire come from informal learning. This first post is all about getting started. We tend to think of learning as a formal activity. Examples might include attending a class, taking an e-learning course, or participating in a structured program. Informal learning is quite different. A learning activity that is not easily recognizable as formal training and performance support. Generally speaking, it takes place without a conventional instructor and is employee-controlled in terms of breadth, depth, and timing. The truth is most of our learning happens informally. Here's what that might look like in a customer service context. Think about a skill you have, such as serving angry customers. How did you learn it? You may have taken a class somewhere. (My new class on lynda.com, Working with Upset Customers, is a good resource.) You might have talked through a tough situation with a boss or a co-worker. But, I bet you learned the most from experience. You noticed some things that worked well with an upset customer and some moves that definitely didn't. Sugata Mitra won the 2013 TED Prize. That’s a pretty big deal. It’s awarded each year to an “individual with a creative, bold vision to spark global change.” The prize includes $1 million to help make that vision a reality. Mitra’s vision was building cloud-based schools. It was born out of an amazing experiment where he installed a computer in a wall in New Dehli slum and then watched what happened. The results were truly amazing, as you can see in Mitra’s TED talk. Faster. We can learn faster when our curiosity and need are driving the bus. Better. The learning experience is more immersive and enjoyable. Deeper. We tend to learn much more when we’re self-directed. Mitra focused his research on K-12 education. There’s no reason the same principles can’t apply to the corporate world. In fact, one of the big trends in training is something called flipped learning that leverages similar strategies. The promise of flipped learning is clear: better learning for less money. Self-directed learning requires a fundamental shift in thinking. This mind-shift has already proven to be an interesting challenge. Things changed when I asked them to commit to doing something new. Some had trouble articulating their goals. Others felt pressed for time, even though a new skill might help them use their time more efficiently. Real learning is scary and exhilarating at the same time! So, keep an eye on this blog over the next few weeks as I report back on our progress, our lessons learned, and the challenges we encounter along the way.